Once you have decided you want to consider solar, the first step is to speak with an Ecohouse Solar sales person to evaluate whether or not your home or business is a good candidate. The sales person will look at your total yearly electric usage; the size, orientation and condition of your roof; and how much sunshine is hitting your roof each year. They will listen to your concerns and questions, and can explain how solar works, how the solar electric system is connected to the electric grid, aesthetics, and how long it will last. They will discuss the financial consideration including the 30% federal tax credit and financing options. 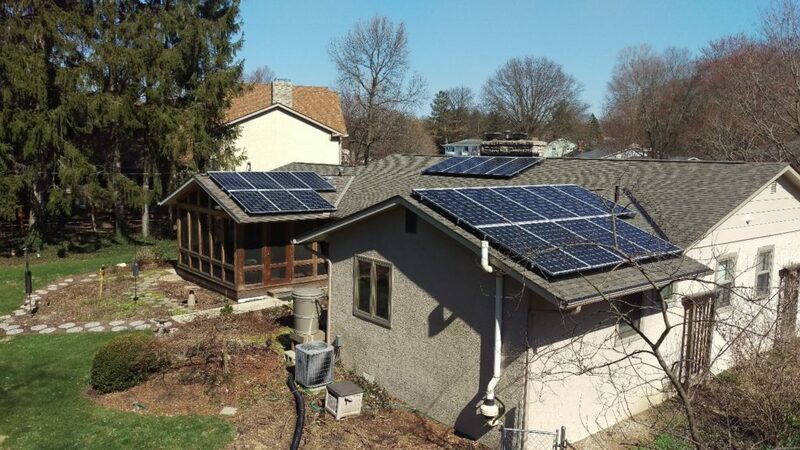 Ecohouse Solar will then prepare a custom design and detailed proposal that takes into account the particular aspects of your home and what you want. The proposal includes an image of your home with solar, as well as solar production projections, and a 25-year financial analysis. If you decide you want to move forward, you will then sign a solar contract with Ecohouse Solar, and pay a down payment. At that point, Ecohouse will begin working to obtain the required approvals from the electric utility and the local building department. This involves structural engineering to make sure the building is strong enough to carry the extra weight of solar panels, as well as electric engineering to ensure the design meets the National Electric code. Ecohouse will obtain all required permits. Ecohouse Solar will then schedule the construction date and begin construction with our experienced and certified installers and licensed electrician. Once the construction is complete, we will schedule the required inspections and notify the electric utility to change your meter to a bi-directional meter. Ecohouse will also set up panel-level electronic monitoring and show you how to use it. At that point your system will be turned on and begin producing clean solar energy. Ecohouse will provide you with a binder containing the information you need about your PV system and will collect the final check. The only maintenance required is to keep shading to a minimum and to check for any animals that may want to nest under the solar panels. Ecohouse can install a guard around the perimeter of the solar array to keep them out. You will be able to collect your 30% tax credit when you do your taxes. Your electric bills will be much lower, and the value of your home or office will be higher. At that point, you will be a solar ambassador and can tell your friends and neighbors how easy it is to “Go Solar” with Ecohouse Solar. Please contact us today and begin the easy process of going solar.